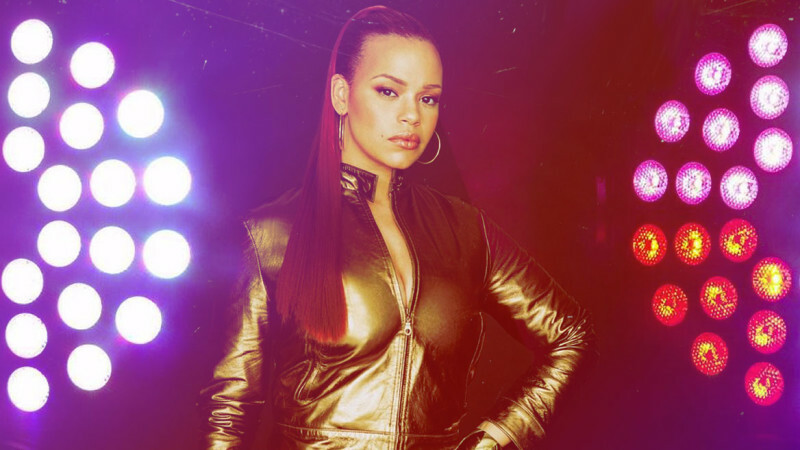 Faith Evans didn't just receive her title as First Lady of Bad Boy on a technicality. Yes, she was the chief female signed to the record label, but, more than that, she earned the honor. And, again, not because of her union with its lyrical linchpin, the Notorious B.I.G., but because each of her albums under the imprint made it to the Top 5 of Billboard's R&B Chart; because she was the driving force behind the Grammy Award-winning, triple-platinum labelmate collaboration "I'll Be Missing You" that spent 11 weeks at No.1; because there's a reason she's been featured as a guest on over 50 tracks from fellow artists. Reminisce on the music that ushered in the millennium, and you'd be hard-pressed not to have Evans ingrained in your memory. If she wasn't assisting friends on choral melodies (see: Biggie's "One More Chance," Whitney Houston's "Heartbreak Hotel," DMX's "How's It Going Down," Eve's "Love Is Blind"), she was proving herself as more than just a studio session singer, more than just Al B. Sure and Mary J. Blige's back-up, more than just—again—B.I.G. 's wife, on her solo hits. Credit Evans' unique contribution to Bad Boy to her versatility, how she rode the feel-good waves of Puff Daddy-produced, sample-studded hip-hop—listen to the blobby bassline on "You Used to Love Me," the nod to Chic that is "Love Like This," and the borrowed disco drums on "All Night Long"—and did so with the same ease that she beasted contemporary R&B ballads, from sultry torch songs like "Soon As I Get Home" and "I Love You" to the piano-driven, Babyface-penned "Never Gonna Let You Go." Evans may have not been known for a trademark octave-spreading range, or grit and a growl, like her counterparts, but having begun singing gospel as a toddler in a New Jersey church, and later alongside jazz bands in high school, where she studied classical music as well, she brought an entirely different understanding and insight to her delivery and, as records and reception show, it translated triumphantly. One B.I.G. Moment: At the 1997 MTV Video Music Awards, Evans paying tribute to her late husband just six months after his death alongside Puff Daddy, 112, Sting and, naturally, a choir; her voice still sweet, deliberate and hopeful.